Today is my Dream Girl’s birthday and it’s Diwali, the festival of lights. Diwali hasn’t always held such a great importance in my life but my little girl’s birthday has been extremely special. Her birthday signifies to me that dreams do come true. This morning at breakfast, she opened her presents and squealed with delight and off she went to school instructing me to be at her school by 10am with her cake. I have half an hour left to be there as I write this but I must say that it may be Dream Girl’s birthday but today I have felt utterly spoilt by someone’s thoughtful gesture from way across the seven seas. 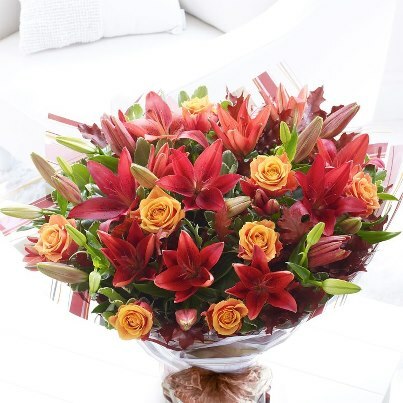 I just received a delivery of flowers to congratulate me on my princess’s birthday! And how thoughtful of the person to have meticulously planned the delivery on the day itself. I’m smiling away. It’s a brilliant day not just for my princess but me too. I’m just going to revel in the scent of these beautiful flowers and keep grinning because there are orange roses too in the arrangement. You remembered that. Thank you!!!! !